Max Johnson plays the puck earlier this season against Minnesota State. Johnson was named the WCHA Rookie of the Week on Monday (Photo by Jessi Renner/BGSUHockey.com). This weekend sees the Falcons on the road to Mankato, Minnesota for a match-up with the #5 Minnesota State Mavericks. First place is on the line as Bowling Green sits just one point behind Minnesota State. Freshman forward Max Johnson was honored by the WCHA as the Rookie of the Week. Johnson picked up a goal and two assists last weekend against Lake Superior. Johnson is second on the team with nine points this season (two goals and seven assists). USCHO’s poll shows the Mavs ranked at 5th and Northern Michigan at 20th. Bowling Green and Bemidji State received votes. In the USA Today/USA Hockey Magazine poll Minnesota State was ranked #8. 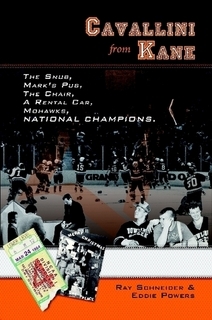 Northern Michigan was the only other WCHA team to receive votes. Daly currently plays with the Minnesota Wilderness of the NAHL and played his high school hockey with the Lakeville North Panthers. The Panthers are coached by Trent Eigner, the brother of Falcon assistant coach Ty Eigner. The Falcons also received three NLI commitments this week. Adam Conquest, Adam Pitters, and Chase Pletzke signed national letters of intent during the early signing period. Bowling Green is riding a seven-game unbeaten streak (4-0-3). That ties Colgate for the longest active unbeaten streak in college hockey. This weekend will mark the third and fourth meeting between the Falcons and Mavericks. 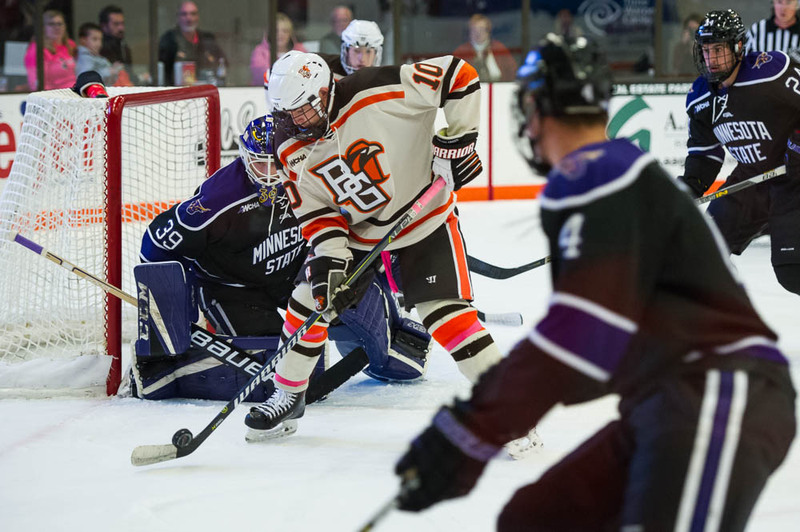 Bowling Green is 5-10-3 all-time against Minnesota State including a weekend split a few weeks ago. The teams split decisive wins as Minnesota State won on Friday 4-1 while Bowling Green took the second game, 5-2. MSU is 5-1 since the series in Bowling Green. Minnesota State has the top overall scoring offense in the WCHA and three of the top five points leaders in the WCHA are Mavericks (C.J. Suess, Zeb Knutson, and Marc Michaelis). Lake Superior travels to Huntsville to face a confident Alabama-Huntsville, Michigan Tech heads to the 49th state to face the Alaska-Anchorage Seawolves, and #20 Northern Michigan will head to Alaska as well but will face the Nanooks. In out-of-conference action, Ferris State and Michigan State will play a home-and-home series. After this weekend Bowling Green comes back home to welcome in-state rival Miami to the Slater Family Ice Arena.